Have you noticed one or more clumps of hair in your dreadlocks? Dreadlocks are an undeniably fun, stylish, and classic way to style your hair. While hair trends come and go, dreads have been around for decades, so you can rest assured knowing they will withstand the hands of time. However, some people may notice clumps of hair in their dreads. While this doesn’t pose any risk to your hair, it can affect the appearance of your dreads, which is why it’s a good idea to eliminate them. Clumps of hair may form when the individual dreadlocks begin to twist over themselves, creating a strand that’s larger the rest. 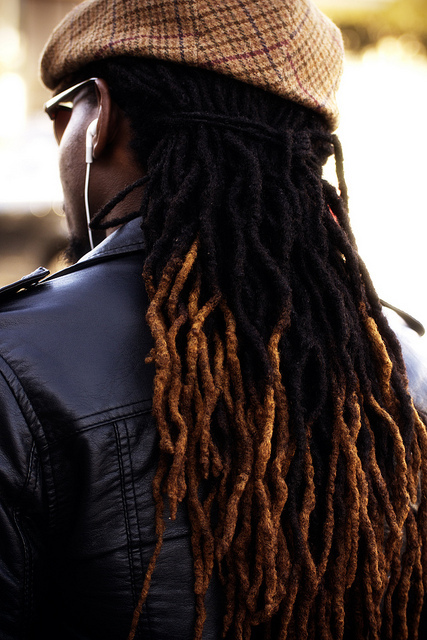 Normally, dreadlocks will remain straight, hanging down from your head and not causing any clumps to form. But when they wrap over themselves, it can produce large, visible clumps that affects the rest of your hair. So, what’s the best way to prevent clumps such as this from occurring? Normally, clumps form during the nighttime when the person is rolling around on his or her head. A simple way to prevent this is to wrap your head in something like a stocking or cap at night. Doing so will hold your hair in place, preventing it from twisting over and creating clumps. In addition to protecting against clumps, wrapping your head at night will also help to lock in your scalp’s moisture, which can prove helpful in keeping your dreadlocks moist. For these reasons, it’s recommended that you get into the habit of wearing a cap or stocking when you sleep at night, especially if you have trouble with hair clumps in your dreadlocks. Wrapping your head at night may help to prevent clumps from forming, but how do you get rid of them? Well, a simple solution involves the palmrolling method, which as the name suggests involves rolling the locks around in the palm of your hands. Simply place a small amount of wax or similar hair care product into your hands and gently roll the dreadlocks back and forth until it smooths them out. Palmrolling is an excellent technique for removing lumps, clumps and other imperfections, and best of it, it’s easy enough that anyone can do it.